This is a book about loss and how to go through the grieving process. Although, the book reads a bit like a memoir, it has the substance and depth to help everyone who is grieving. When we are grieving, we can collapse into a bottomless pit or we can try to cope from the devastating loss. Kathryn chose to try to cope and even thrive in spite of all she went through. This is a very captivating sci-fi fantasy story that will keep you reading until you have finished the last page. The story is one of a kind. You will want to read more. But alas the story will be over. Williams’ sci-fi fantasy story has many intriguing twists and turns which will easily captivate your attention from the beginning. Williams portrays an exciting and adventurous story of alien invasion in a vivid and convincing way. 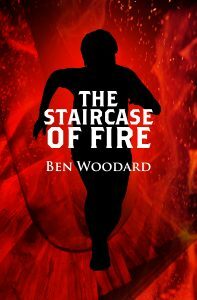 Can Tom overcome his secret demons, and use his strength to help others? (Originally published this on the bottom of my page, but meant it for a Blog post.? So please also see my Blog Post for new Submission Calls. After a long down-time, and open heart surgery, I am back working full steam ahead. I have updated my page and information, also my albums and such. All that's left is tweaking when I find someplace I can improve. Looking to be active again. Looking to meet new friends and renew former acquaintances. Hi everyone who still remembers me. It's been a long road back. I have been ill, eventually had open heart surgery, but now I'm back. It's a big job updating my information. Through it all, I found a new publisher who re-published my books (all but two so far) AND I have just released my first romance novel. Managed to write that one during recovery this last year. 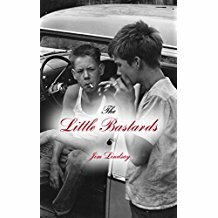 A true celebration of life in the 1950’s, this coming of age story encompasses the good, bad and the ugly side of this amazing decade. Although not a biography, the author of this exciting story has utilised his experience of growing up in these times to make this incredible fiction story really unforgettable.